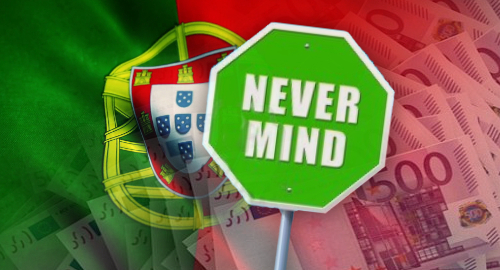 Portugalâs government has flip-flopped on its recent proposal to revise the online gambling tax scheme that has severely limited interest in the countryâs regulated market. Last week, Portuguese media outlet Jornal de Negocios reported that the governmentâs fiscal 2019 budget would include a new 25% flat tax on online gambling revenue, replacing the incremental 15-30% tax on online casino revenue and the truly punitive 8-16% tax on sports betting turnover. This week, Jornal de Nogocios reported that the revised Special Tax on Online Gambling (IEJO) language had been left out of the final budget document that was delivered to parliament. Finance Minister MÃ¡rio Centeno was obviou sly tinkering with the final text right to the end, as he delivered the budget a mere 12 minutes before the parliamentary deadline. Portuguese MPs will commence their debate on the state budget on October 30, with a final vote scheduled for November 30. Itâs unclear whether this window provides any opportunity for the reinsertion of the gambling tax proposal. Portugalâs government is facing a general election next year, and the new budget contains lots of sweeteners in the form of pay increases for the countryâs bloated civil service. Someone has to provide the revenue to fund these raises, and the government apparently feels gambling operators fit the bill. But the government will find that short-term needs often get in the way of long-term financial planning. The current gambling tax structure has forced locally licensed operators to pass on their tax burden to gambling consumers, resulting in an inability to tempt these punters away from the infinitely mor e palatable offering of internationally licensed operators. The ServiÃ§o RegulaÃ§Ã£o e InspeÃ§Ã£o de Jogos do Turismo de Portugal (SRIJ) regulatory body issued its first online license over two years ago but has to date convinced only eight operators that it makes financial sense to acquire local permission to cater to Portuguese gamblers. The SRIJ conducted a review of its online sector earlier this year, and stakeholders undoubtedly urged the regulator to press the government for a rethink of its tax scheme. The government appears to have turned a deaf ear to these pleas, with the inevitable result that operators will continue to give the SRIJ licensing office a wide berth, thereby depriving the government of a greater share of the revenue generated by Portuguese punters. Short-term gain, long-term pain.